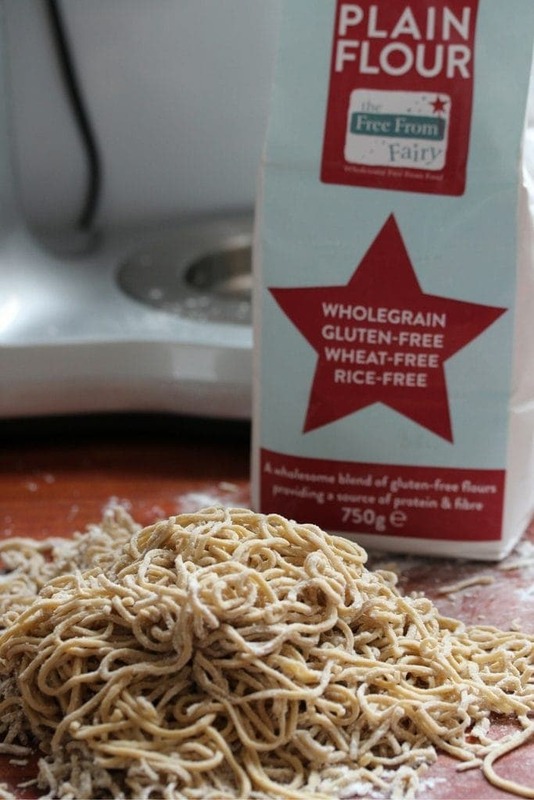 Homemade Wholegrain Gluten-Free Spaghetti | The Free From Fairy. I’ve just had some pretty pants news. Right now I’m not allowed to tell you what it is but suffice to say that if I swore on my blog I would be doing so right now. Equally if I could eat sugar without feeling rubbish I would be stuffing my face in the hopes of making me feel better. Anyway, I promised on social media to share my recipe for spaghetti. 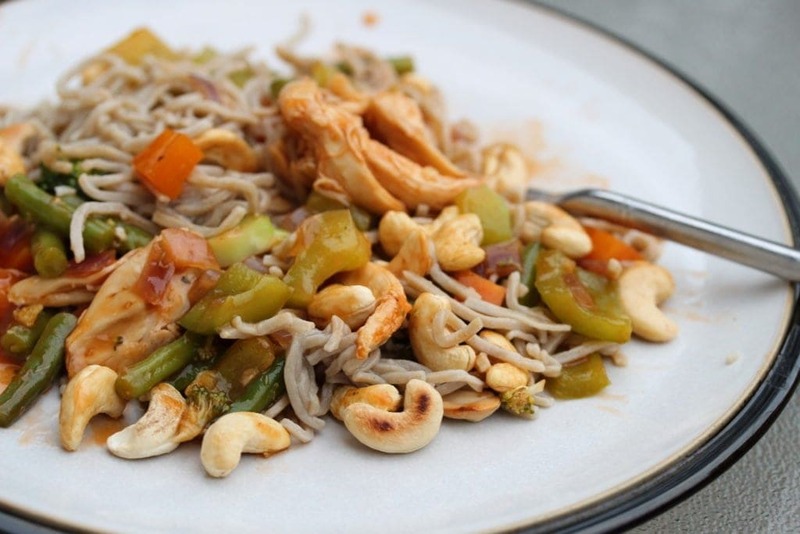 I actually used it in the place of noodles in a chinese-style chicken noodle dish which was delicious. I’ll share that recipe another day! Making pasta is a little bit more time consuming that most things I post. However if you have a spare hour it is completely doable and it’s very easy. My sister bought me a pasta machine a few years ago which makes the job a whole lot physically easier. However, if you don’t have one, don’t fear. I’m not sure spaghetti would be possible but tagliatelle certainly is as you can read here. 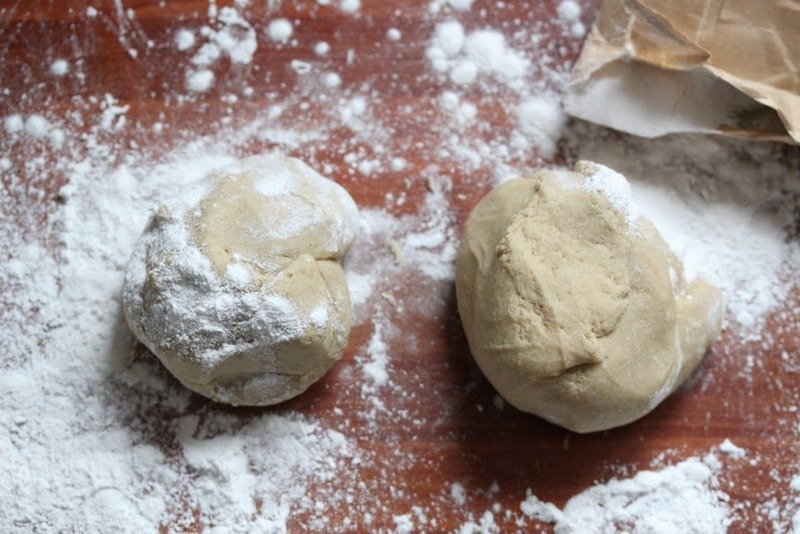 With gluten-free dough there is no need to leave it to rest after making it. I divided my mixture into two and passed each piece through the widest setting on the pasta machine 10 times, before reducing the thickness until it reached the last but one thickness setting. 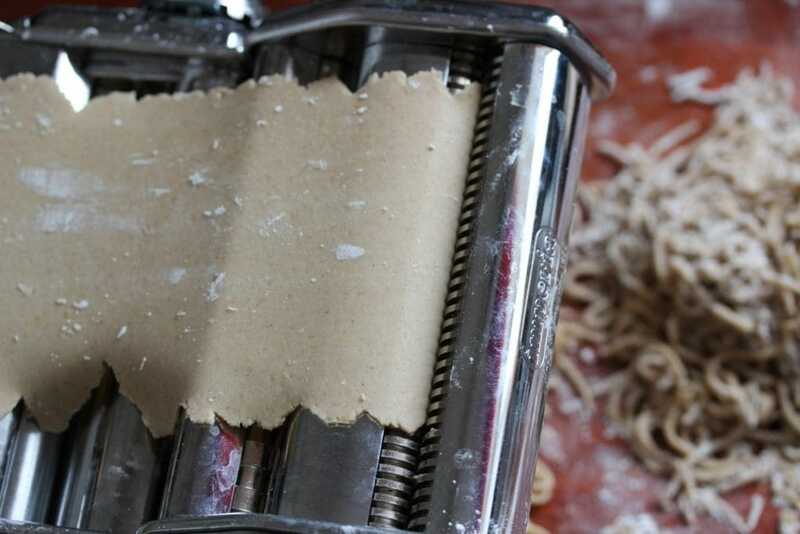 Each time I passed it through the machine I folded it into a manageable size between each pass until the last pass when I ‘fed’ it into the spaghetti cutter. If you were doing this by hand you would need to flour your surface and dough really well and roll the dough out to as thin as possible. Flour the dough liberally before rolling the sheet up like a swiss roll and cutting thin strips. 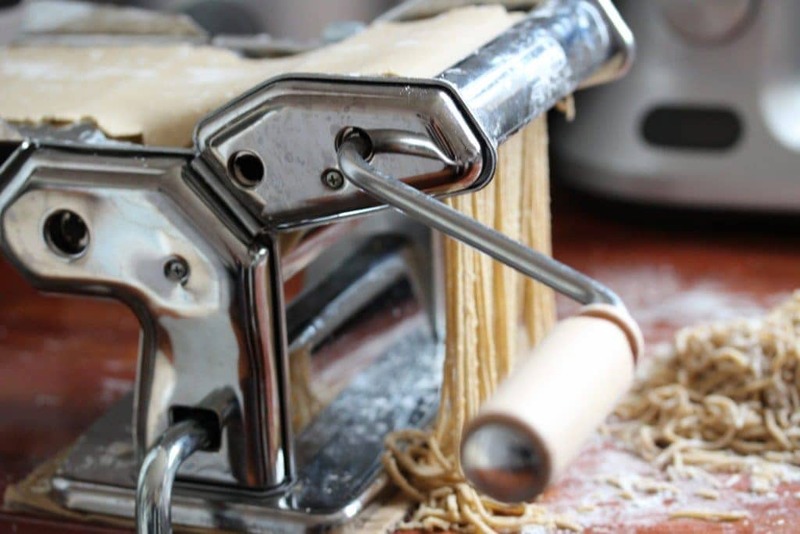 The final step is to thoroughly flour the pasta shapes to prevent them sticking together. Making this pasta with my wholegrain flour blend means you get a top quality pasta full of nutrients unlike most the bought varieties. Alternatively cook immediately in a pot of boiling, lightly salted water with a teaspoon of oil for approx. 3 minutes or until cooked to your desired consistency. Done for resisting the urge to resort to sugary comfort food. Your spaghetti looks delicious, shame I don’t have a pasta machine (a nothing thing on my to-buy list) the Tagliatelle is more do-able though. 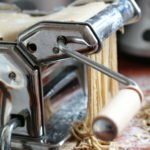 I have my own pasta machine too, used it twice but so impressed with the results. Never thought to use in place of noodles though. Fab idea. Well done with the span though…… I love home-made GF pasta, but it takes so long and so it is a rare thing to have it in our house……. Looks like your flour worked treat! Yeah…it got more ‘pants’ on Monday hence my lack of blogging/social media this week (and next probably).